The Special Olympics athlete who went missing in Streeterville last week has been found safe, according to Anthony Guglielmi, the Chicago Police Department’s chief spokesperson. Haque Rezwanul, 22, who has autism and cannot speak English, went missing after he stepped into an SUV outside of his hotel in the 100 block of East Delaware around 5 p.m. last Thursday. 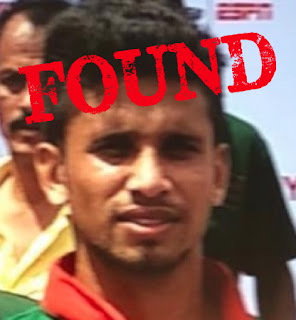 Police issued a missing person bulletin the next night. On Tuesday night, four days after Rezwanul's disappearance was reported, Guglielmi announced that the Bangladeshi athlete had been “located safe and unharmed by Chicago police detectives." Guglielmi said Rezwanul left the hotel on his own accord and “made the decision independently.” Police did not say where Rezwanul was found or if he had been reunited with his Special Olympics contingent. Rezwanul won a gold medal for badminton in the 2015 Special Olympics.